Liberty Mutual thinks that “the more people think and talk about responsibility, the more the world becomes a better place.” Maybe I’m too optimistic, but I totally believe that. It’s so important for me, as a mother, to instill important values in my daughters. They’re almost always by my side at this point, but as they get older and start going to school, I won’t always know what they see and hear when I’m not around. So it’s crucial to talk about this now. The Responsibility Project website includes resources to help families discuss the subject of personal responsibility and the importance of showing consideration for others. There is a blog with provocative articles and stories about responsibility, several discussion guides, and – my favorite feature of the site – a variety of short films. Maya responded very well to the animated film “Dinner For Two” . It had her laughing out loud within the first minute, yet at the end she still understood the underlying concept of it – the importance of sharing, and how fighting affects everyone around you. There are 8 other wonderful films to watch, so check them out with your kids when you have a few minutes to spare. It’s worth it. 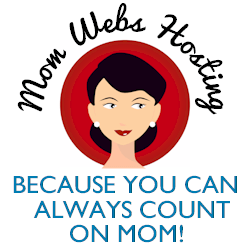 Thank you to Mom Central for introducing me to yet another wonderful parenting tool! This begs the question – what’s your policy? What does responsibility mean to you?